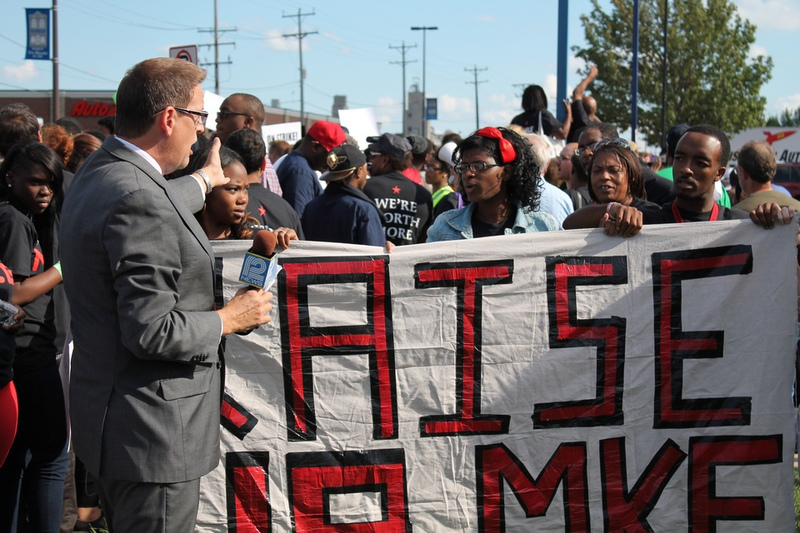 Milwaukee Fight for $15 protest in August 2013. As the state minimum wage rose toward the top of the policy agenda in the most recent election season, Wisconsin Assembly Democrats have indicated they will look to increase wages in the upcoming legislative session. During an Aug. 29 interview with WisconsinEye, recently re-elected Rep. Dave Considine, D-Baraboo, advocated for raising Wisconsin’s minimum wage to $15 an hour — more than double the current rate of $7.25 an hour — over the course of up to six years. Qualifying his statement, Considine said the change should include an age-based tier system in which the hourly rate is higher for adults than it is for minors. He also said that many employers already paid above the current minimum wage. “Most of our employers are paying $10 or $11,” Considine said. In an email exchange, Considine clarified that his claim was applicable to employers in his area and only based on his own observations. The Observatory decided to investigate his claim. 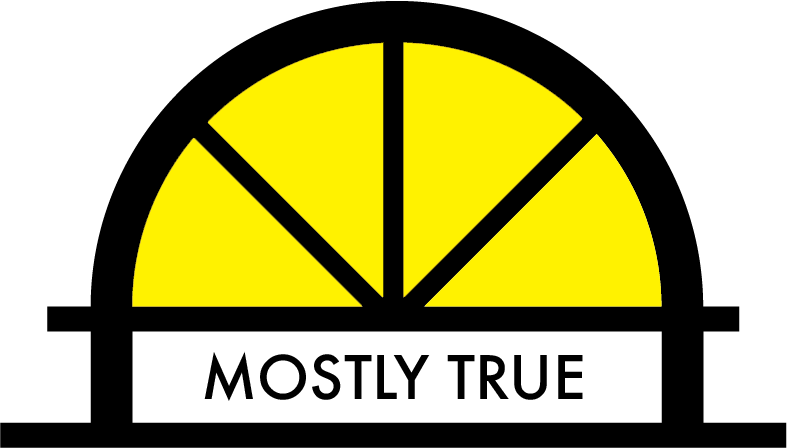 Because Considine phrased the claim as “most,” looking at median hourly wages is the most accurate measure to assess his claim. So what is the median hourly wage in Wisconsin’s 81st Assembly District for fast food workers, store clerks, gas station attendants and milkers? The Bureau of Labor Statistics collects data on employment and wages in the nation, states and regions within the states. When estimating wages, the bureau only looks at pay, excluding overtime or most bonuses. According to its website, the bureau’s occupational employment and wage estimates are based on semiannual mail surveys that the bureau sends to employers. The survey data used to calculate the median hourly wage relies on employees’ pay at every level, not just employees earning the company’s starting wage. Wisconsin’s 81st Assembly District encompasses parts of Dane, Sauk, Columbia and Iowa counties. By the bureau’s definition, Sauk County falls into south central Wisconsin’s nonmetropolitan area and the other counties — Dane, Columbia and Iowa — fall under the bureau’s Madison area. A quick look at the occupations Considine provided as examples — fast food workers, cashiers and farmworkers — yields a picture close to Considine’s estimate. According to the bureau, the median hourly wage for a fast food worker in the south central Wisconsin’s nonmetropolitan area is $8.76. In the Madison area, it is $8.78. Cashiers earn a median hourly wage of $8.73 and $8.96 in the nonmetropolitan area and Madison area, respectively. Farmworkers who work with livestock in the Madison area pull in $13.90 an hour while their south-central nonmetropolitan area counterparts make $10.99. Considine also believes in raising the minimum wage. Governing, a news source aimed at state and local government leaders, estimated 91,000 Wisconsinites earned $7.25 an hour or less in 2013 based on Bureau of Labor Statistics data. Additionally, the 2014 “Raise the Floor” report from COWS, formerly the Center on Wisconsin Strategy, and the Economic Policy Institute found nearly 700,000, or 1 in 4, Wisconsin workers worked a “poverty wage” job in 2013. The study assessed how many people made $11.36 an hour or less, working 40 hours a week year-round. The report said this wage is the minimum for a family of four to cover their basic expenses and keep them out of poverty. Considine said, based on his observations, most employers in his area are paying $10 or $11 an hour. We found that for the jobs Considine identified — fast food workers, store clerks, gas station attendants and milkers — Considine’s estimates were within about $1 an hour of the Bureau of Labor Statistics numbers. Considine’s estimates, which he said were based on personal observation, track closely with the official numbers. As a result, we rate this claim mostly true. “Campaign 2016 Interview: Rep. Dave Considine (D) Incumbent Candidate for 81st Assembly District,” WisconsinEye, Steve Walters, Aug. 29, 2016. 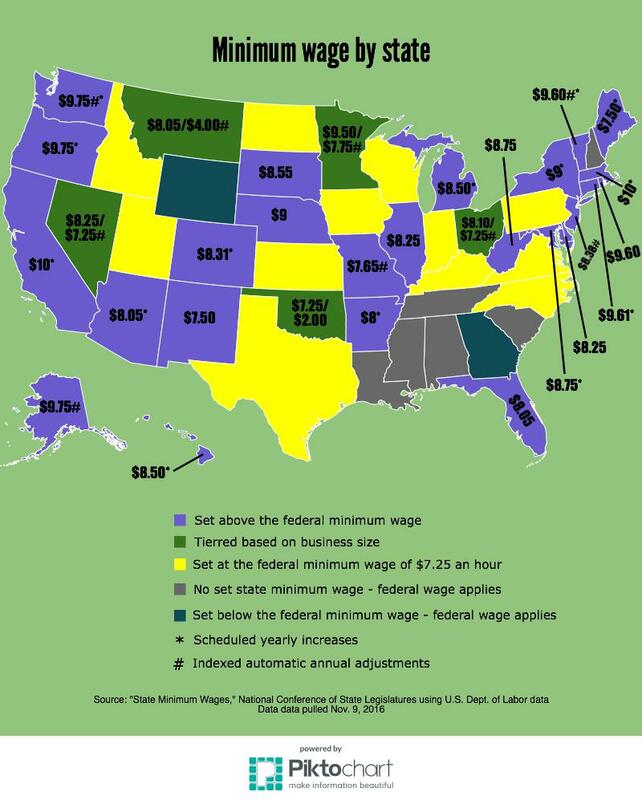 “Minimum Wage Workers By State: Statistics, Totals,” GOVERNING. http://www.governing.com/gov-data/economy-finance/minimum-wage-workers-by-state-statistics-2013-totals.html“Raise the Floor Wisconsin,” COWS, Oct. 2014.